This week, Foodie Myanmar rounds up their top picks for all-you-can-eat hot pot and barbecue. This week, Foodie Myanmar rounds up their top seven picks for all-you-can-eat hotpot and barbecue for less than 15,000 kyats. Hot Pot City has made a local name for itself in recent months. More than 80 dishes featuring pork, prawn, chicken, crab, beef and vegetables are available. The daytime buffet price is 11,000 kyats per person until 4 p.m., after which the 12,800 kyats dinner price kicks in until 11 p.m. The standard prices include a two-hour table time, and increases if guests choose to stay for three hours. The restaurant gets crowded during dinner but there are private rooms available for parties of at least 10 people. Address: No. 33, Kyaik Waing Pagoda Street, Mayangone Tsp. In addition to their hot pot options, Jo Jo Hot Pot offers specialty side dishes like Yunnan pork, dumplings, BBQ chicken wings, prawn tempura and their signature homemade meatballs. Five types of broth are available, with spicy and not-so-spicy options. Seating times are not limited and the price is 12,000 kyats for adults and 6,000 kyats for children between ages three and 10. Address: No. 23 (A), Nawady Street, Dagon Tsp. 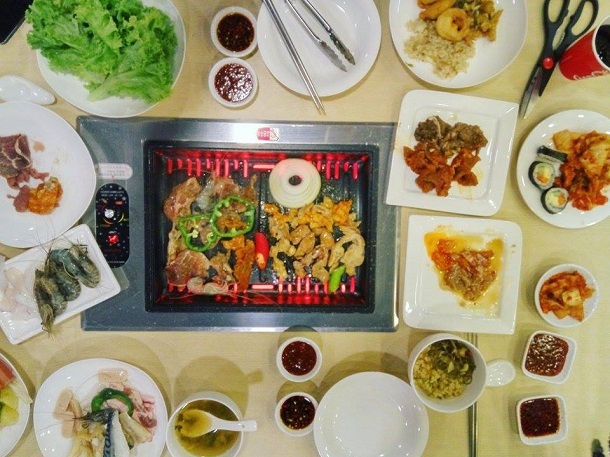 For fans of Korean food, Gangnam Buffet near Inya Lake is a great choice. 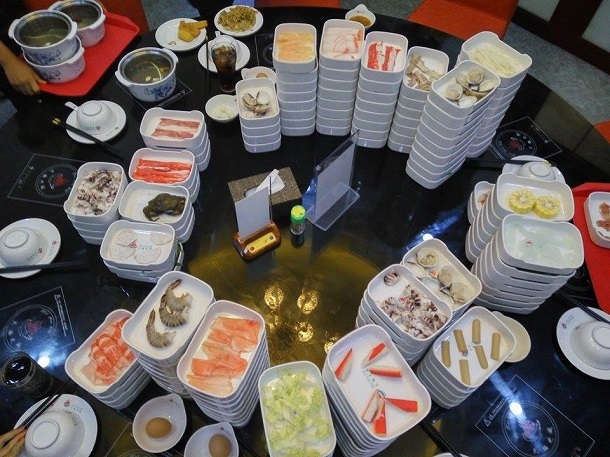 This hot pot restaurant offers 50 dishes including meatballs, sliced meats, seafood, vegetables and Korean side dishes. Dessert options include a chocolate fountain, fruit, biscuits and cookies. The price is 11,900 kyats per person and half price for children under four feet tall. The seating time is an hour and a half and the restaurant charges 1,000 kyats per person for each additional 10 minutes. Address: Maha Land Center, Kabar Aye Pagoda Road, Yankin Tsp. 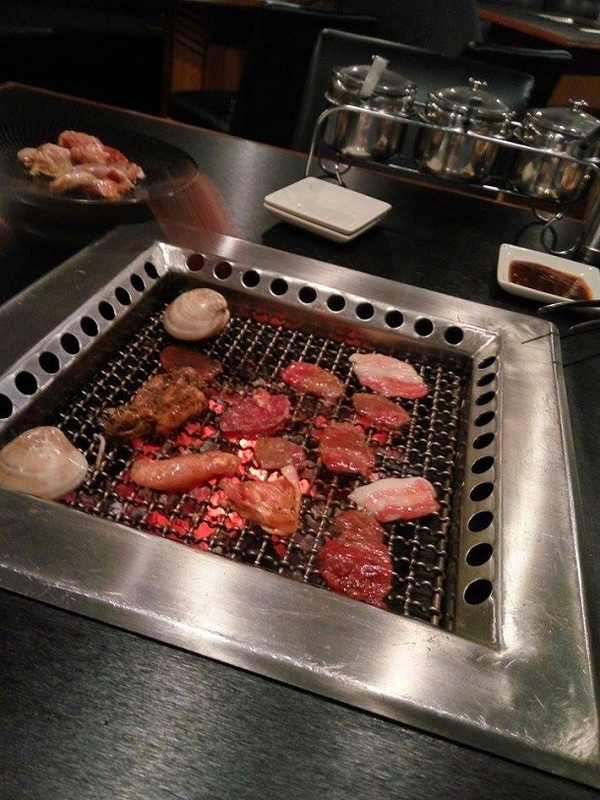 This BBQ spot in South Okkalapa Township offers over 100 options for hot pot or to grill on your own, which are sold in packages. Package A costs 12,800 kyats and lasts one and a half hours, Package B is 14,000 kyats for just over two hours and Package C costs 16,000 kyats and lasts just over three hours. Children eat for half price. Address: No. 51, Thitsar Road, Ponnami Bus Stop, South Okkalapa Tsp. Based in Singapore, this Korean chain offers 70 dishes featuring meats, kimchi, fried rice, tteokbokki and more. The BBQ buffet price starts at 12,500 kyats plus a 10 percent service charge. The children’s price is 7,500 kyats and the seating times are not limited. Address: No. 10, Yadanar Street, Rainbow Food Center, Thingangyun Tsp. Manpuku Buffet is a Japanese-style BBQ in Yankin. To ensure freshness, it only prepares meat to order, which can mean a long wait for customers. Prices start at 12,800 kyats plus a 10 percent charge for service and tax. The price is 7,000 kyats for children under 4 feet tall and seating times are limited to an hour and a half. Address: No. 26 (B), Aung Zeya Street, Yankin Tsp. Unlike other options, this South Okkalapa Township grill and hot pot restaurant offers sweet and sour broths on top of spicy and non-spicy options. The price is 10,800 kyats for adults and 5,000 kyats for children aged four to six. Address: No. 5, Yadanar Street, Thingangyun Tsp.